The Barack Obama White House has provided the world a number of firsts. Of course, this is the first White House to have an African-American presiding in the Oval Office. However, the “firsts” did not stop with the swearing in of President Obama in 2009. As a member of the Office of Presidential Personnel, Freedman-Gurspan serves as an outreach and recruitment director. She is charged with reaching out to different communities in seeking qualified personnel. The White House Office of Presidential Personnel is something of a misnomer. The office is not charged with staffing the White House itself. Rather, the office is responsible for identifying and engaging individuals for different governmental agencies for which the President makes personnel appointments. The Office of Presidential Personnel is located in the Eisenhower Executive Office Building, or EEOB, within the White House compound. The Vice President maintains his primary offices in the EEOB. Before joining the White House staff, the 28-year-old Freedman-Gurspan worked as a policy adviser at the National Center for Transgender Equality’s Racial and Economic Justice Initiative. Prior to joining that organization, Freedman-Gurspan was a legislative director with Rep. Carl Sciortino’s office in Washington, D.C. Congressman Carl Sciortino indicated that he was excited to hear of Freedman-Gurspan becoming a part of the White House staff. He stated that he believes that Freedman-Gurspan is a true role model. He noted that she has been a trailblazer for some time, despite her relatively young age. 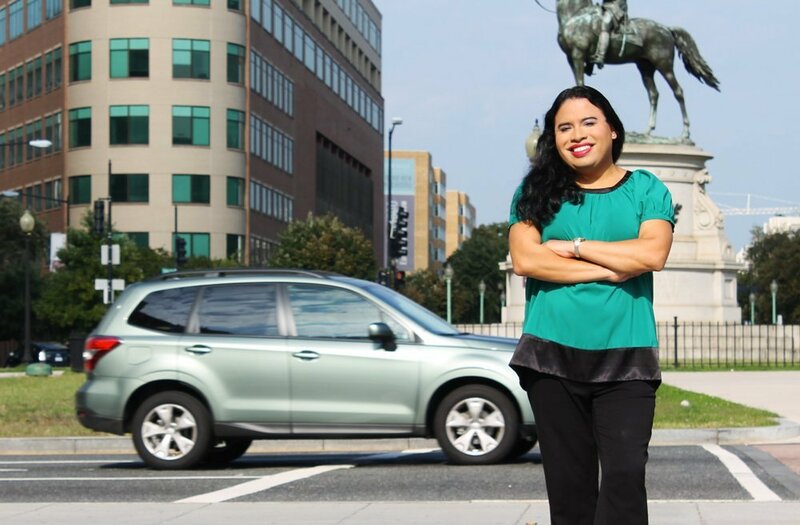 For example, Freedman-Gurspan was the first out transgender woman working for the Massachusetts State House. While in that position, she was instrumental in obtaining the passage of the Transgender Equal Rights Law in Massachusetts. The Congress went on to note that he anticipates that Freedman-Gurspan’s hard work at the White House in the outreach position will benefit many people. He underscored his personal pride in her latest accomplishment. The executive director of the National Center for Transgender Equality also chimed in with praise for Freedman-Gurspan. The executive director states that she was proud to have been associated with Freedman-Gurspan at the Center. In addition, she noted that President Obama has long maintained that he wanted the White House Staff to look like the population of the United States as a whole. Hiring Freedman-Gurspan brings the White House even closer to that goal. Freedman-Gurspan was born in Honduras. She ultimately was adopted in the United States and raised in Brookline, Massachusetts. Her mother, Marion Freedman-Gurspan, writes a piece about Freedman-Gurspan in the book Transitions of the Heart: Stories of Love, Struggle and Acceptance by Mothers of Transgender and Gender Variant Children. Freedman-Gurspan’s mother writes how she watched her child transition during college. According to her mother, Freedman-Gurspan had not really begun the transition process when she started college. However, once enrolled in an institution of higher education, the process began, and somewhat in earnest, also according to Freedman-Gurspan’s mother. Freedman-Gurspan’s mother indicates that she was close to her daughter and very supportive during the entirety of the transition process. She echoes the pride others feel in the accomplishments of Freedman-Gurspan. By the time Freedman-Gurspan reached her senior year at St. Olaf College in Minnesota, she was living as a woman. Her mother stated that Freedman-Gurspan learned to fight for the rights of transgender individuals during this time period. Beyond her professional career, Freedman-Gurspan has always been an advocate for transgender people. She has been particularly concerned about transgender immigrants located in detention centers in the United States. In June 2016, a transgender immigrant interrupted President Obama’s speech during a gay pride event that was held at the White House. In response, Freedman-Gurspan told The Associated Press that more needs to be additional steps taken to protect transgender immigrant detainees from sexual violence in detention centers and elsewhere. Although Freedman-Gurspan is the first “openly” transgender person on the White House staff, there are other out transgender individuals in other positions in the Obama Administration. These include Jay Davis, at the Environmental Protection Agency, and Amanda Simpson, executive director of the U.S. Army Office of Energy. 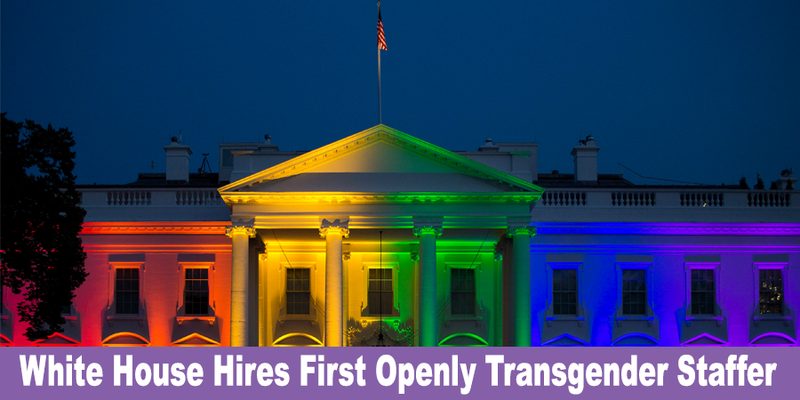 Other transgender staffers who have served in the Obama Administration include Dylan Orr, a former special assistant at the Department of Labor, and Chloe Schwenke, senior adviser for LGBT policy and senior adviser to the Bureau on Democracy, Human Rights, and Governance. Shawn Skelley is on the staff of the Department of Defense. Finally, a transgender lawyer, Shannon Minter, is an appointee to the President’s Commission on White House Fellowships.